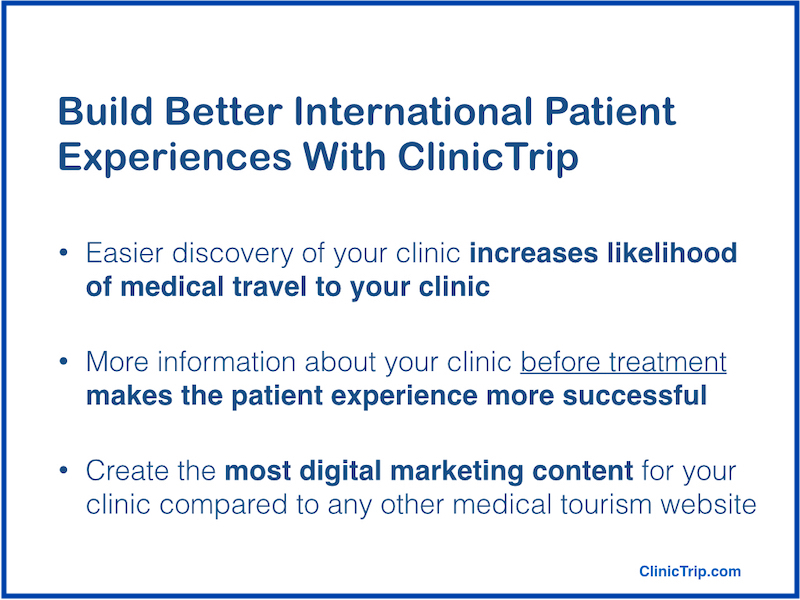 You may publish unlimited articles and posts on our ClinicTrip blog about your clinic, health research or health travel recommendations. Create a Free User Account to submit posts from your My Profile page. 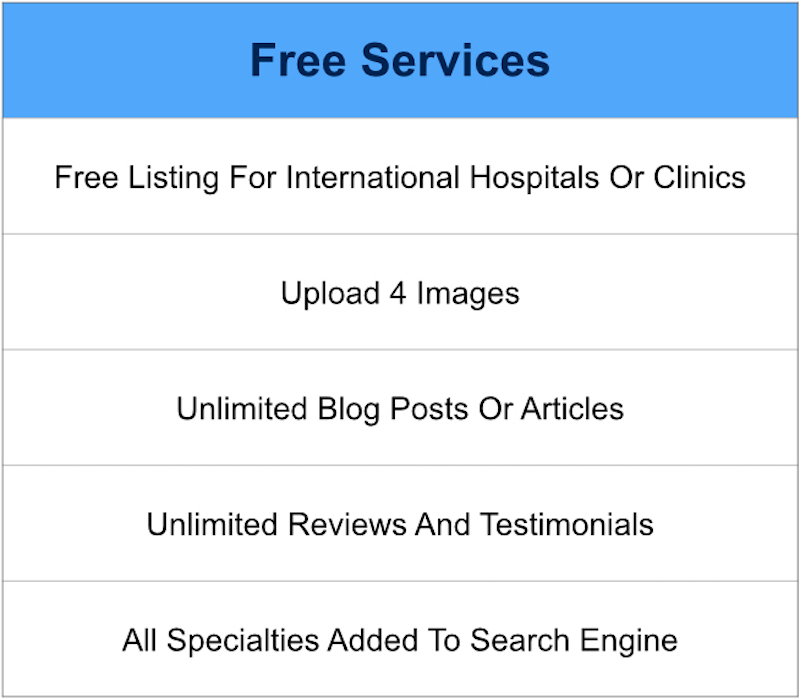 Use your hospital or clinic logo for your avatar. To send images to publish with your listing, please contact us. 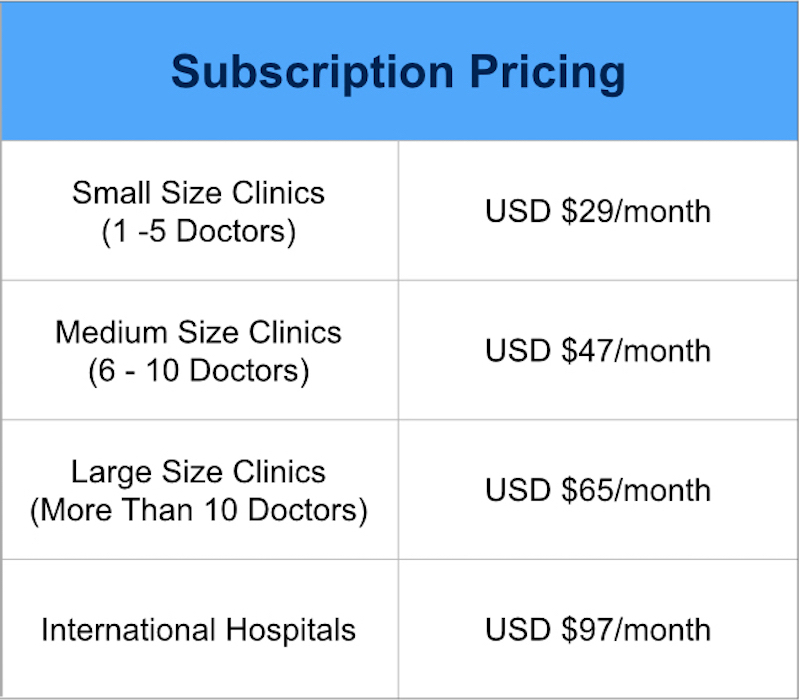 Pricing for our Subscription Services are per the table below. 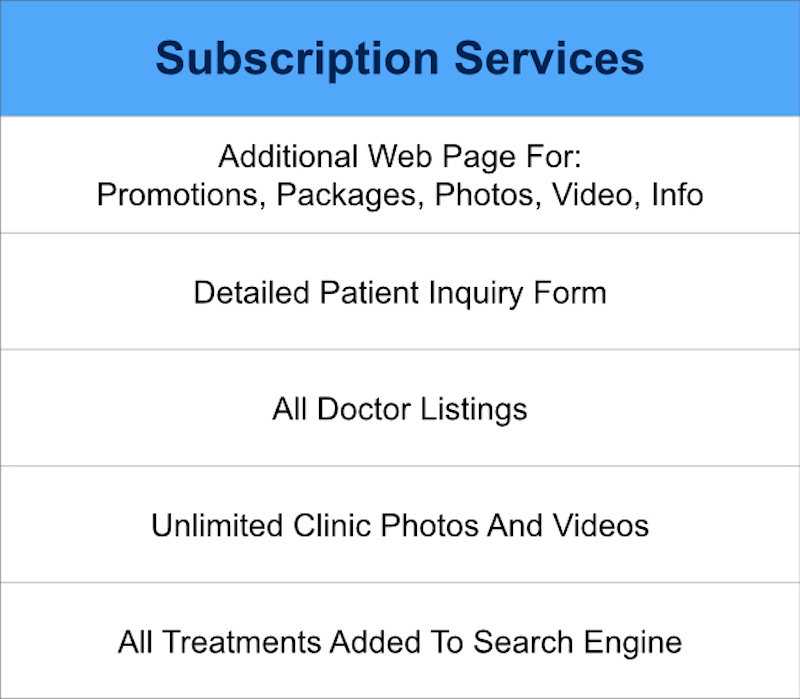 There are no contracts and pricing is billed in 6 month periods. International exchange rates apply at the time of payment. 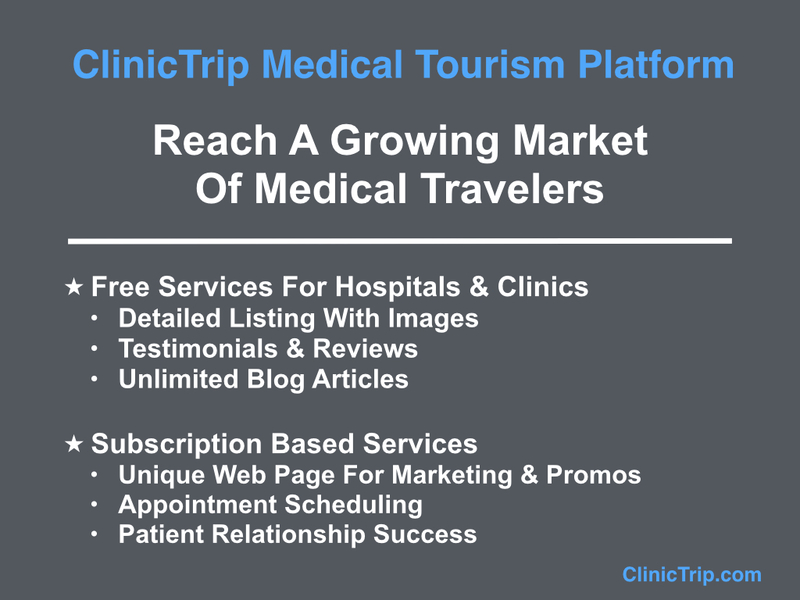 For multiple clinics or hospitals within a healthcare group, please contact ClinicTrip.